The clever cut 5 in 1 paper trimmer has four in built interchangeable blades on an easy to switch rotary head. The cutting blades comprise of Straight Up, Skip, Ware and Score. 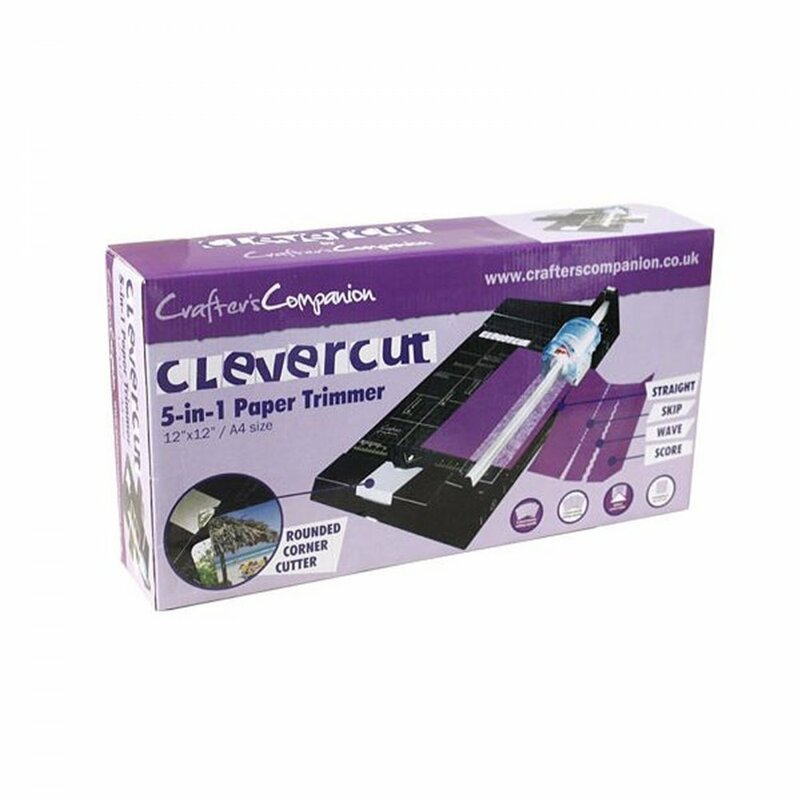 The Clevercut 5 in 1 incorporates an integrated corner rounder punch, and has a five sheet cutting capacity with an extendible base plate allowing you to cut up to A3 or 12" x 12" paper.